In many States right now the housing market is still depressed. This helps create a strong rental market, which in turn helps fuel cash flow for owners of rental properties. It’s a great time to be investing in real estate. Many Americans recognize this and want to get involved, but don’t think they have available cash to invest. Well, did you know that you can buy real estate in IRAs? IRAs (Individual Retirement Account) and 401(k) plans are long term savings accounts which allow your money to grow tax free while it is in the account. 401(k) plans are offered through your employer while an IRA is an account you set up on your own. When people decide to invest, they often think of traditional options like stocks, bonds , GICs & CDs ,mutual funds, or maybe precious metals. It’s important to know that there are alternative non-traditional choices available that you could consider as an investment option. Real estate is not permitted in a 401(k) but you can make a transfer or a loan against it in order to allow you to invest. While you don’t get the benefits of any employer matching contributions like in a 401(k), you can buy real estate in IRAs. There are several different types of IRAs; Traditional, ROTH, Simple, and SEP and they each have their own requirements and restrictions. For example with traditional IRAs; taxes are paid when you withdraw your funds. ROTH IRAs are the opposite. Your account is funded with after-tax dollars, but have no taxes to pay when you withdraw, so the growth is completely tax free when you buy real estate in IRAs. Contact Us, to see how we can help grow your IRA for you. Since 1975 the IRA and ERISA (Employee Retirement Income Security Act) has expanded the allowable investment options. Some alternative investment offerings now permitted under the regulations include real estate, mortgages, and tax liens to name a few. A self-directed IRA permits the owner to direct a custodian to make a broader range of investments than the more traditional assets such as stocks, bonds, mutual funds or Certificates of Deposit (CDs). With a self-directed IRA, you, the owner, can take control of your investments and decide how YOU want to invest YOUR money. Depending on the method you use you may incur a penalty for moving money from your 401(k) into a self-directed IRA, but the penalty is definitely worth considering, given the potential benefits of investing in real estate. The table below shows a comparison of a $100,000 portfolio that is owned by a 40 year old individual who plans to retire at age 65. The lines that have a green background first show the value if the funds remain in the 401(k) for 25 years. The second line shows the value if the funds were removed from the 401(k) with a penalty and placed with a custodian where they can then be invested in real estate. The third line shows the value if the funds were removed from the 401(k) with a penalty and placed with a custodian where they can then be invested in real estate. The next three lines are similar but they are relevant to an IRA account. Companies set up their retirement accounts with certain assets. If they are not configured to handle real estate then there is likely no incentive for them to enlighten their customers that real estate is an option. Your current retirement account may not presently include non-traditional assets but that is certainly not a problem. All you would need to do is create a retirement account through a Third Party Custodian that has been set up to invest in real estate. You would either establish a new account or roll over assets from an existing account depending on your current investment structure. It’s that simple to buy real estate in IRAs. The IRS does require an authorized IRA provider for all IRAs. There are professional companies that will walk you through the process and make things as easy as possible for you. When you look for a Third Party Custodian look for one that provides good customer service and processing times. You will also want to review their fees to ensure they are competitive. Most custodians will be regulated either at the state or federal level so make sure the one you chose is in good standing. We would be happy to refer you to one and work with you through those steps. It is a tangible asset and it’s attractive for many people as it allows you to put your money into something with which you’re already familiar. 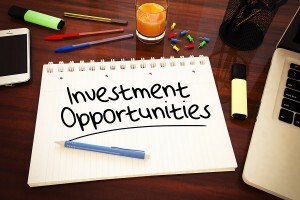 Investing in real estate is also a great way to diversify your Investment portfolio. You can receive passive income with great rates of return, share in the profits of the property, AND have your returns based on the performance of the underlying piece of rea, all without having to deal with the day to day management of the property! An additional benefit for private lenders who wish to invest in real estate with their retirement plans is that with a self-directed account you can have check book control over the account. This allows you, the IRA owner, to write checks without having to consult the custodian for every transaction. This is advantageous if you ever wish to invest in a property on short notice. When an investment is made on behalf of the retirement account, the acquisition is made without triggering a taxable event. So, for those of you who never knew you could use your IRA or 401(k) to invest in real estate, well this is a great day for you!! Did you know you can use your retirement funds to invest? Do you want to choose where to invest your money? Do you want to share in the cash flow and profits of real estate without having to the deal with the day to day management of a property? Do you want to create passive income with your retirement fund? Do you want better returns? If the answer to even just ONE of these questions is YES, then you need consider investing in real estate with your retirement savings. With each property, Simple Acquisitions forms a syndication with its partners. Becoming a private lender partner with Simple Acquisitions affords you the opportunity to generate passive income using your retirement account.